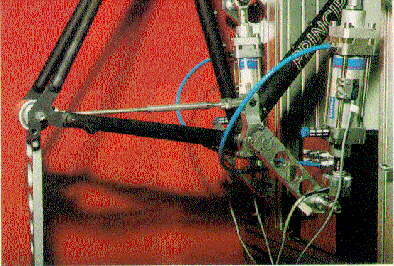 The groundbreaking article about fatigue-resistance testing of bicycle frames — the results surprised even the people doing the test — now in a much-improved new translation from the original German. This entry was posted in Updates and tagged adhesive, alloy, aluminum, Barellia, bicycle, bottom bracket, braze, brazing, break, Cannondale, carbon fibre, composite, corrosion, Damon, Damon Rinard, De Rosa, DIN 79100, durability, EFBe, failure, fatigue, Fondriest, frame, glue, Klein, Kühnen, lugs, Merlin, Principia, Rinard, robert, Robert Kühnen, Schmolke, shelbroco, Sheldon, Sheldon Brown, sheldonbrown, sheldonbrown.com, steel, testing, Time, titanium, translation, Trek, weld, welding. Bookmark the permalink.